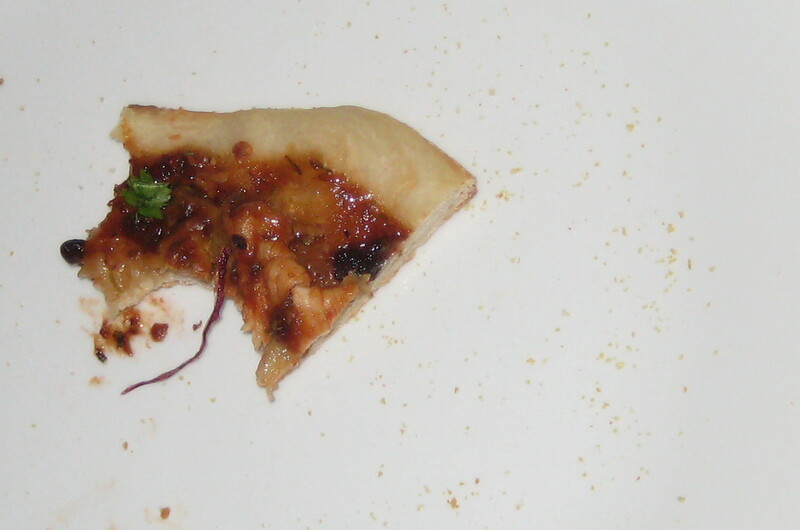 time to put a new spin on pizza night! not that there is anything wrong with the traditional pepperoni and cheese pizza, but this colorful masterpiece is a crowd pleaser. the sweet and spicy bbq sauce combined with the verdant flavor of the cilantro simply belong on a crispy, chewy crust. whether this dish only comes out for the big game, or it becomes a friday night staple in your household, keep this delicious recipe handy! 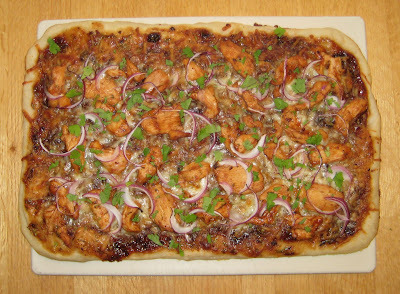 this pizza recipe is all thanks to my dear friend Dave- the guy who convinced me chicken on a pizza was a fabulous idea! 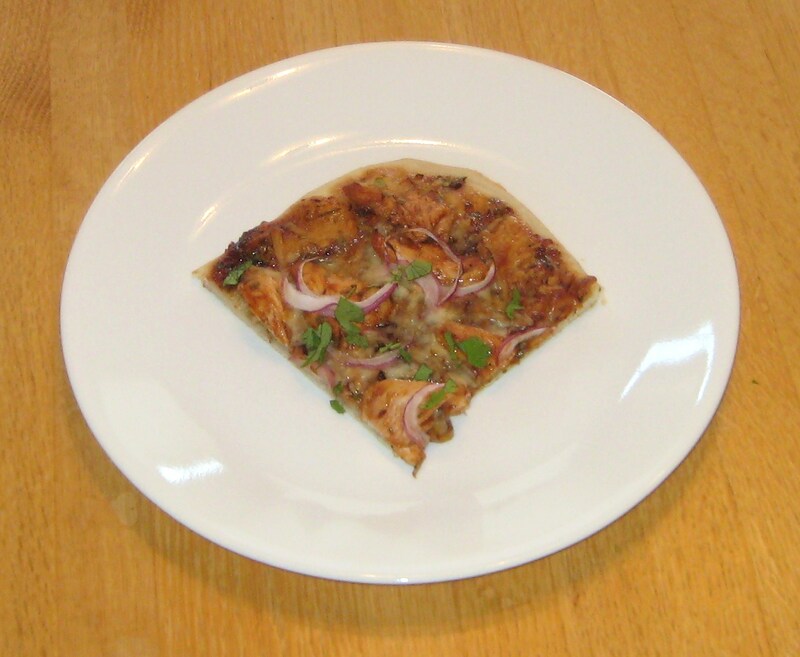 -lots of grocery stores now sell fresh pizza dough; check in the refrigerated or deli section. try great flavored doughs like spinach, sun dried tomato, whole wheat, olive oil and rosemary, or anything else that sounds good! -sprinkle some crumbled bacon on it, because bacon makes everything better!